M. Devansha is 11 Year old girl who is abandoned by her father when she was two years old. She stays at Thayagam Children Home, Ramanathapuram. 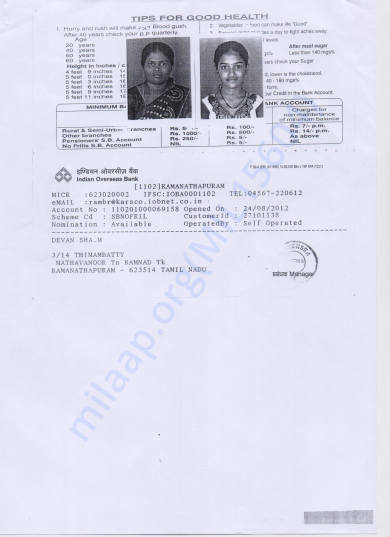 Mrs. Arul Kalai Selvi, mother of M.Devansha works as a cook (coolie) and earns Rs. 2000 per month. 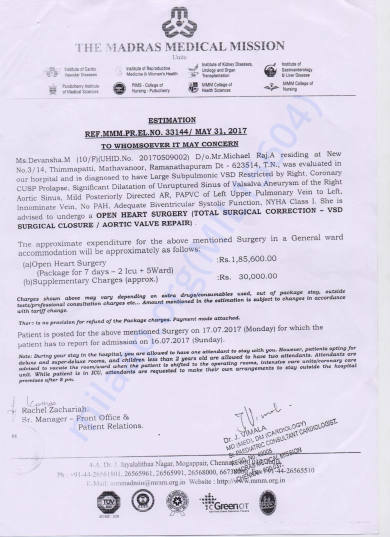 Now, Devansha is advised to undergo an OPEN HEART SURGERY (Total Surgical Correction – VSD Surgical Closure / Aortic Valve Repair). 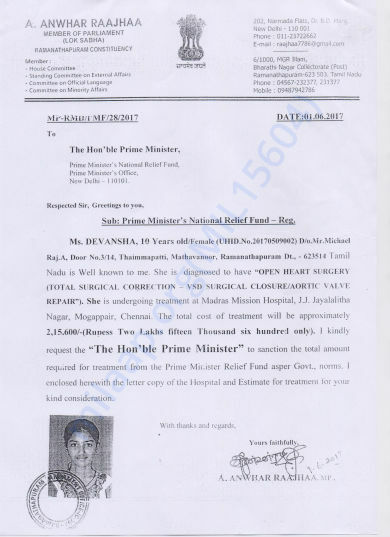 She is recommended to undergo the surgery on 17/07/2017 at Madras Medical Mission, Chennai. 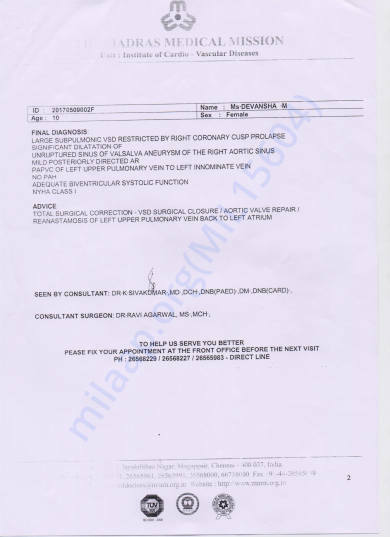 The estimated cost for this surgery is Rs. 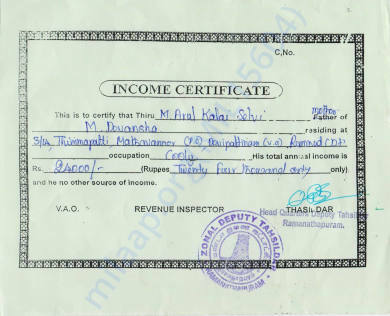 215600/- (Two Lakh Fifteen Thousand Six hundred). 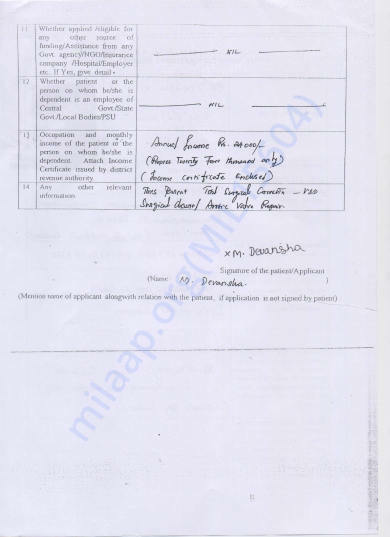 The hospital has guided us to apply for Prime Minister’s fund and it would cover Rs. 50000/-. 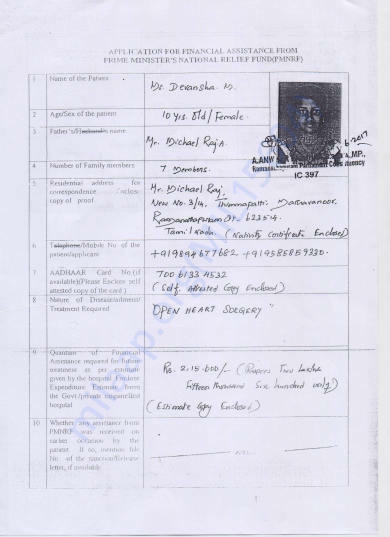 The application is sent to Prime Minister’s Office and it is in the process. The mother is unable afford this huge money for her daughter’s surgery. Therefore, kindly donate as much as you can and share this mail with your friends and help in saving the life of a girl child. 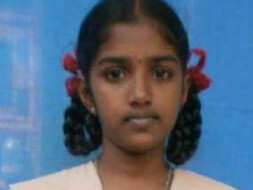 I Know the child as she lives in Thayagam home and her mother is hepless to raise funds. She is aware that I am raising funds through Milap. Baby Devansha's Open Heart Surgery is over. She is slowly recovering. 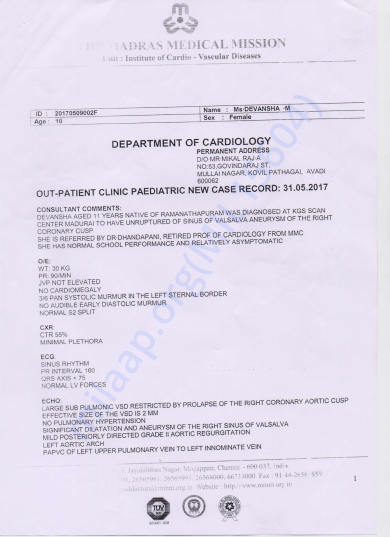 Baby Devansha is admitted in Madras Medical Mission for Open Heart Surgery. She will be operated on 3rd July, 2017. Remember her in your prayers and Thank You very much for your support.